Our range of food wraps are made from premium food-grade material, & will ensure that your meal stays fresh for longer. Food wraps have a range of applications including food preparation, food packaging, storage & foodservice. Our cling wrap, aluminium foil, slap sheets, baking paper & greaseproof paper are available in various sizes, & are sold in commercial-size packs so they last longer. Aluminium foil is an extremely versatile food wrap & can be used for cooking, lining trays or wrapping food. Our heavy duty foil is tough & can handle medium acidity applications. The catering foil is packed in a dispenser pack with a plastic cutting strip designed to avoid injuries in a fast-paced kitchen environment. Cling wrap is available in 33cm & 45cm wide rolls so the chef can choose a size that will minimise wastage and reduce cost. 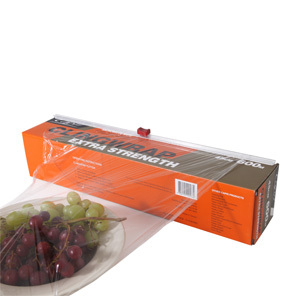 Our cling film will grip onto most surfaces, creating a tight seal around the food. Like our aluminium foil, cling wrap comes in dispenser packs, & has an easy slide-cutter to minimise the risk of injury. Slap sheets or “go betweens” are another type of food wrap that are usually placed between cold meats to avoid contamination, or to control portion sizes. Portions of meat/ chicken are allocated and placed between slap sheets so the server knows exactly how much to serve with each meal. Slap sheets are also frequently placed between pieces of food to prevent them from sticking together in the freezer. 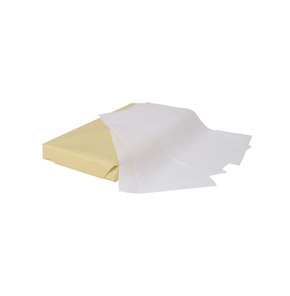 Greaseproof Paper is widely used as a food wrap or liner to prevent oil or grease seeping through the packaging, & making a big mess. Greaseproof is available in a range of sizes that are all cut down from a standard sheet size. 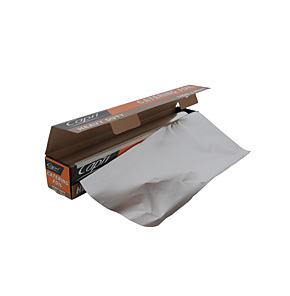 Stocked grease proof paper is food-grade so it won’t contaminate the contents of the package. Cut sheets are stacked on top of one another and wrapped up tightly to prevent the penetration of contaminants. 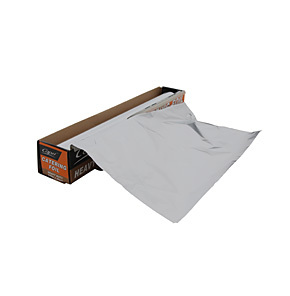 Baking Paper is commonly used as a tray liner to prevent sticking, & eliminates the need to grease up trays. It is available in a dispenser pack so sheets can be cut to suit the size of the tray, thereby reducing wastage. 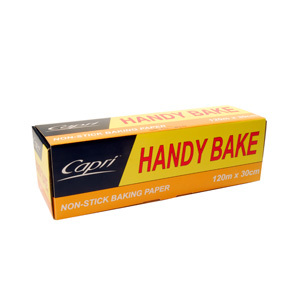 Made from premium grade parchment paper, our baking paper can withstand high temperatures without flaking or curling up.